Please join us for a fall party at The Pod at Frinklepod, featuring live music by Boston-based global-roots-rock-band Billy Wylder, good food, and friends new and old. Kids are very welcome. Please leave your furry friends at home. 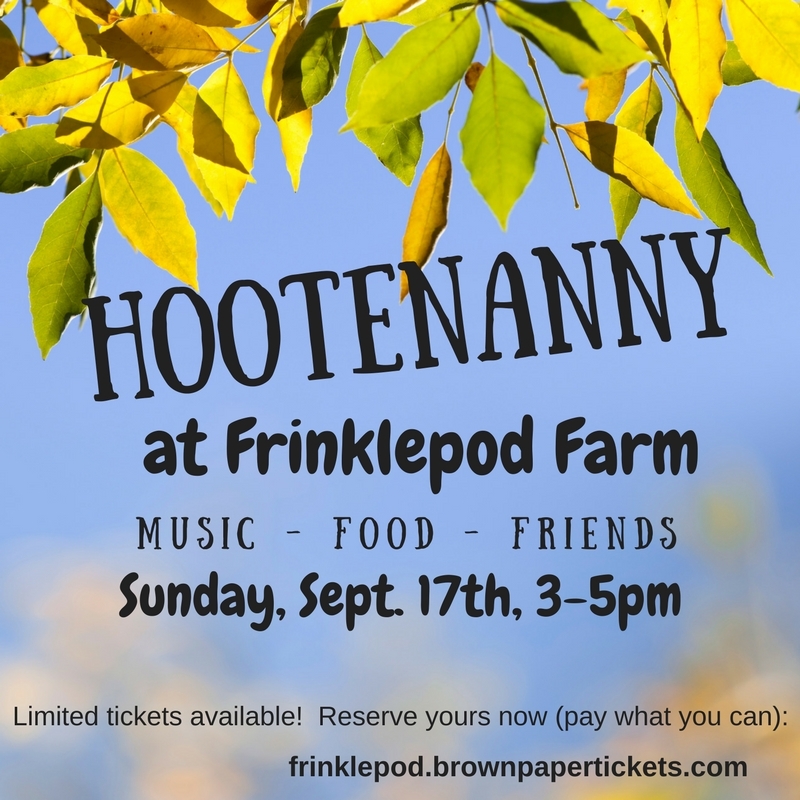 Due to the our limited space and parking, we are issuing a finite number of "tickets" for admission to the Hootenanny. Your contribution (pay what you can) helps pay for this ticketing service, the band and refreshments. Any additional funds that are raised will go towards completing construction of the 2nd floor of The Pod.